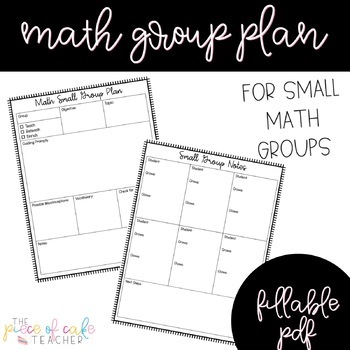 Enjoy this EDITABLE math small group planner! 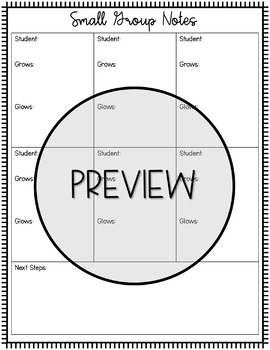 This makes planning for small math groups super simple and quick with a fillable pdf. I love adapting many small group lessons from the experts and I use this planner to help me organize my thoughts onto just one page. 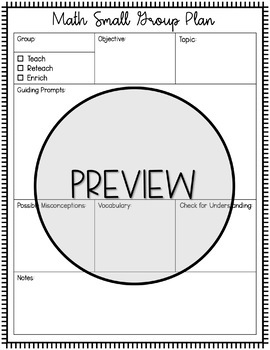 It has areas for you to note how you are differentiating, possible misconceptions, vocabulary, and how you will check for understanding. It also includes a note-taking sheet to take anecdotal notes about the kiddos in your group! Earn TPT credits toward future purchases by leaving feedback on your purchase! If you enjoyed this product, please leave feedback in the "Comments and Ratings" section below. Click the green star ★ above to follow my store and receive all the latest product updates and freebies!